Puree berries and sugar in a food processor. Strain, and discard seeds. Put 1/3 cup puree, 1 tablespoon lime juice, 2 ounces gin, and 1/3 of the torn mint leaves into a cocktail shaker filled with ice, and shake until cold. 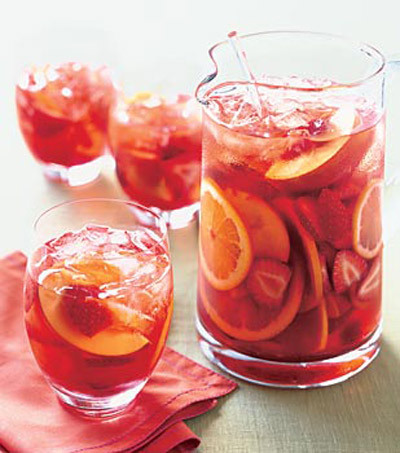 Pour into two 8-ounce glasses, and add 1/4 cup seltzer to each. Repeat twice. 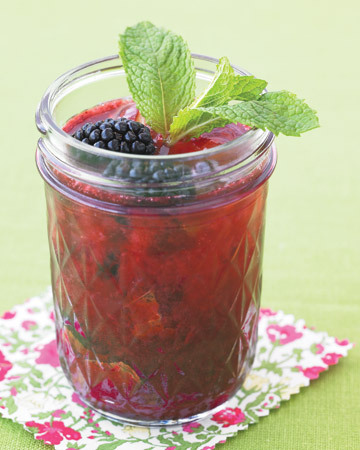 Garnish with berries and mint sprigs.